You’ve heard them talked about over the past few weeks. They are the people arrested on 9 December and charged (still to be proven) with attacking the TAV construction site in Chiomonte. A compressor was damaged in this attack and not a single person was injured. The charge, though, is of terrorism because ‘in this context’ these alleged actions ‘could have’ created panic in the population and severe damage to Italy. What? Damage to the public image. We’ll say it again: to the public image. The charge is based on the potential of this behaviour but, as the crime of unintentional terrorism does not exist in our legal system, this charge is of real and intentional terrorism. To make things clear, this is the same charge as in the ’70s and ’80s massacres, the bombs on trains and in the piazzas and, recently, in airports, underground metros and skyscrapers. Terrorism against people who were oblivious and unaware, which killed and which, yes, terrorised the entire population. By contrast, our sons, brothers, sisters have always respected the lives of other people. They are generous people, they have ideas, they want a better world and are struggling to achieve that. They fight against every form of racism, denouncing the horrors of the CIE detention centres long before the press and public opinion discovered them and about which there is so much indignation today. They have created space and moments of confrontation. They’ve chosen to defend the life of an area, not to terrorise the population. Everyone in Val Susa will tell you this, as they are doing continually on their websites. And are these the people being terrorised? And can a burnt compressor really create severe damage to Italy? The people arrested are paying the penalty for a country suffering a crisis of credibility. And so, all of a sudden, they became terrorists because of damage to the public image, with the same very heavy sentences as those who have killed and as those who want to kill. It is a change which is unacceptable in a democracy. If this argument wins, from tomorrow, anybody who challenges a choice made by those on high could be accused of the same things because, in theory, they could put the country in a bad light, they could be accused of bringing about, potentially, damage to the public image. And everyone’s freedom is in danger. And that’s not a freedom to be taken for granted. House arrest is not possible in connection with the crime of terrorism so the accused are held in high security detention, involving isolation, two hours out-of-cell time, four visits a month. All letters are checked, sent to the public prosecutor’s office, registered. Letters get to them and to us very very slowly or do not arrive at all. Now they have been transferred to another high security prison, far from home. A distance which separates them even more from the love of their families and their close friends, with the most incomprehensible harassment such as the suspension of visits, a ban on meetings and in some cases, solitary confinement. All this even before a trial, because they are ‘dangerous’ thanks to a judicial interpretation which bears no relation to the facts. To the newspapers, the television companies, the mass media, so that they recover their duty to inform, so that they weigh up all the angles, so that they find the courage to become indignant at the paradox of someone risking an extremely heavy sentence, not for having killed someone but because, in the accusers’ opinion, they damaged a machine or may have been present when the damage was done. To the intellectuals, so that they make their voices heard. So that they act before our country becomes uninhabitable. So that those who stand in opposition, who think that large-scale infrastructure work should serve the citizen rather than scrape a bit of money from the EU, are considered assets and not terrorists. To the whole of society and, in particular, to families like ours who are raising their children with great concern and effort in this country, teaching them not to look away, to stay close to those who are in the right and who need us. The families of Chiara, Claudio, Mattia and Niccolò. 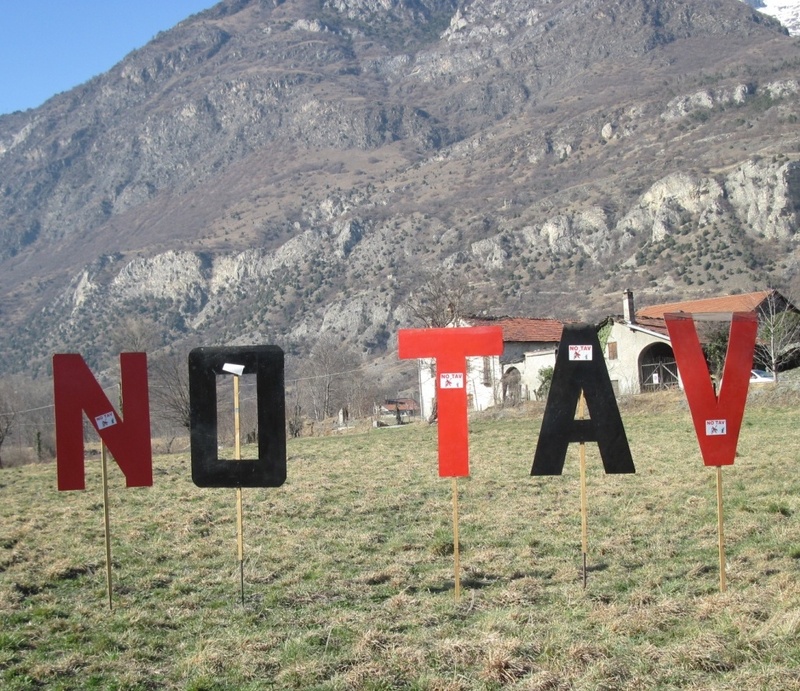 This entry was posted in Activism, Commons, Environment, Grassroots movements, Health, Politics, Repression, [en] and tagged notav, Repression, Susa Valley, terrorism. Bookmark the permalink.